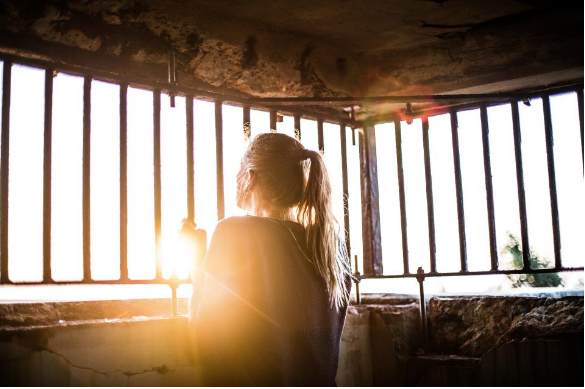 Now that summer is finally here, the humidity and sweat mixed in with the pollution of the hot city air can take a toll on your skin. Patchology, the skin solutions beauty brand that is dedicated to tackling your skin problems, created a simple solution one cosmetically infused patch at a time. Each of the brand’s products are designed to work in a faster amount of time compared to traditional face masks, keeping the person on-the-go in mind. 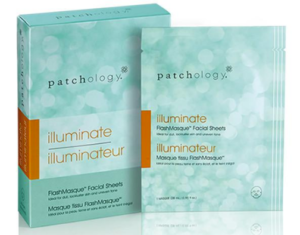 With their FlashMasque 5 Minute Facial Sheets, shoppers have three choices of facial sheets to target their specific skin problem. Exfoliate for more rough skin or Hydrate for those with skin on the more dry side. For a natural, summer glow with skin tone evening properties, pick up their Illuminate facial sheets. The mask is fused with essential ingredients Licorice extract, Vitamin C, and Grapefruit Seed Extract and Patchology’s HydraSurge5 Moisture System, an exclusive complex of five proven hydrating ingredients. With raving reviews and immediate results in skin vibrancy, this facial mask is your best bet for a natural, radiant glow this summer. From my personal experience trying out the Illuminate face mask, I immediately noticed more glowy skin after removing the mask along with a noticeable softness to the skin. If you have time, we highly recommend leaving it on for longer than the five minutes as they also recommend to let your skin fully absorb the brightening serum. Pamper yourself with a bath and this mask to relax and rejuvenate after a long day in the heat! The mask retails for $30.00 on the Patchology website and is also available for purchase at other retailers. If you want to add a little flair to your skin routine, check out the limited edition lace design Illuminate facial sheets here. Share your favorite summer skin products with us on our Instagram and Twitter.